Notepad++ - source code editor and Notepad replacement - naturally! -new_console switch instructs ConEmu to start an application in a new console. I disabled most confirmation on tabs actions (Settings > Main > Confirm), so now I can fully control tab creation, closing and switching between them with shortcuts without additional confirmations. You navigate between screens in Split Screen mode just like you navigate between tabs. 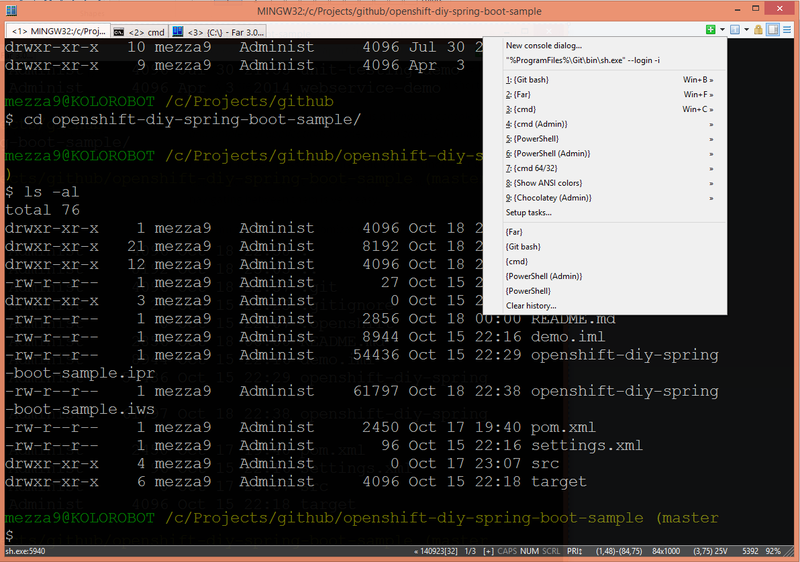 Win+B,F,P - Git Bash, FAR and Notepad++. Even if you choose shortcuts that are used by Windows, ConEmu will intercept them (once active). Highlighting, copying & pasting with mouse and keyboard shortcuts makes it really convenient. This is one of the features I appreciate most in ConEmu. Additionally, scrolling buffer is also easy withCtrl+Up/Down/PgUp/PgDown shortcuts. 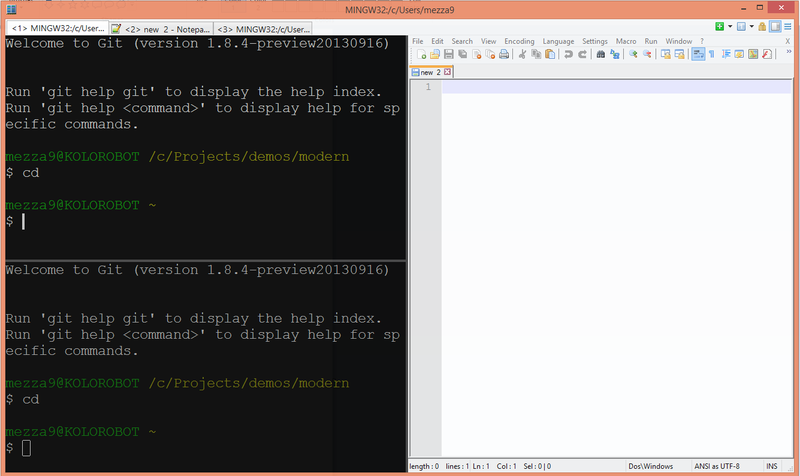 Notepad++ is one of my favorite editors for Windows. ConEmu can run Notepad++ in a tab with no problem. I created a task for Notepad++ so I can start it in a new tab whenever I want. In addition, I made possible to run it in console with the file loaded that is passed as argument. 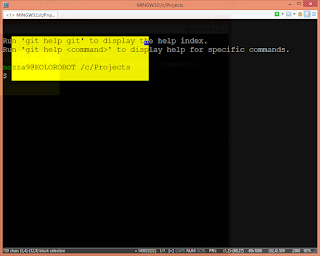 This is very easy with Git Bash. 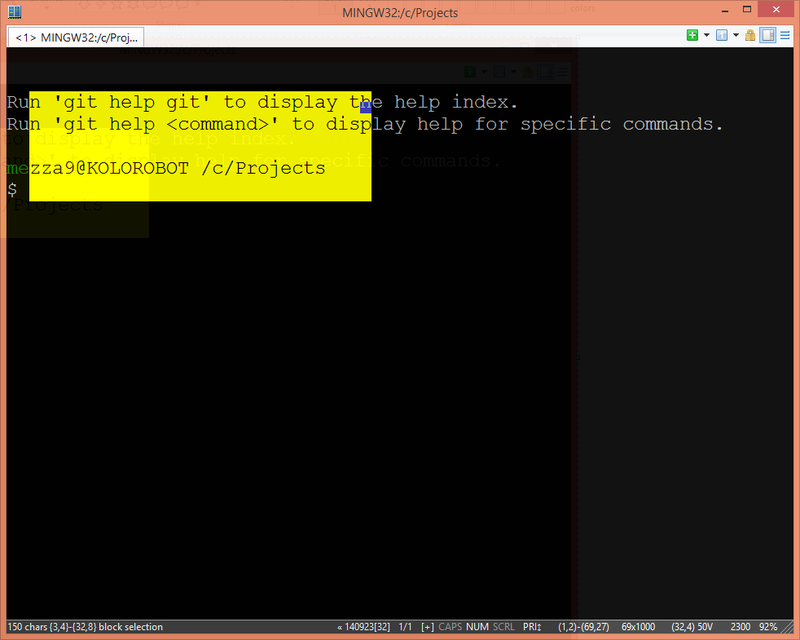 Now, edit filename will run Notepad++ with filename loaded in a new tab. In case you want this alias to be always available, create .bashrc file in your home directory (if does not exist) and add the alias so it is automatically loaded on Git Bash startup. 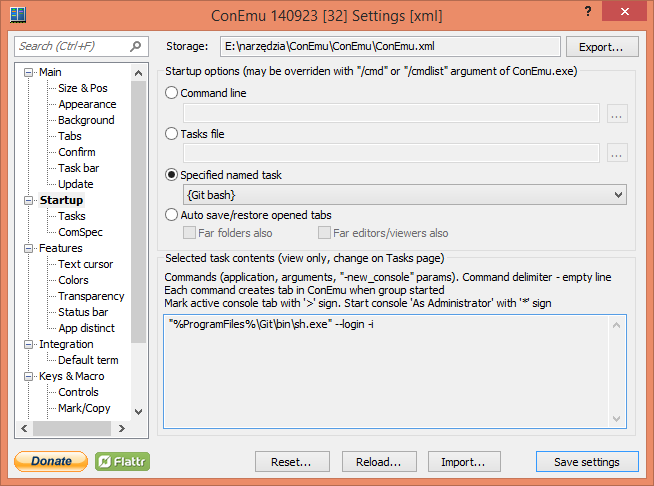 I’ve been using ConEmu for several weeks now and I am far from knowing everything about it, but I already can’t imagine my Windows without it! 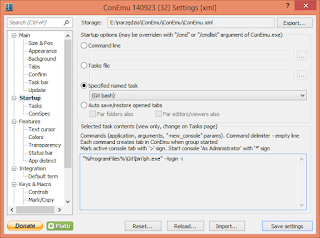 With ConEmu I can use my favorite tools like Git Bash, cmd, Far Manager, and Notepad++ in one application with great tabbing experience supported with shortcuts. Font anti-aliasing, transparency (can be configured for active and inactive window separately), full screen, split screen and great mark, highlight, copy & paste options makes ConEmu is a complete application and a great choice for developers looking for improved productivity in Windows. I truly recommend ConEmu to every professional!